Get the perfect historical and artistic introduction to Venice on this relaxing Venice family orientation tour for the whole family. 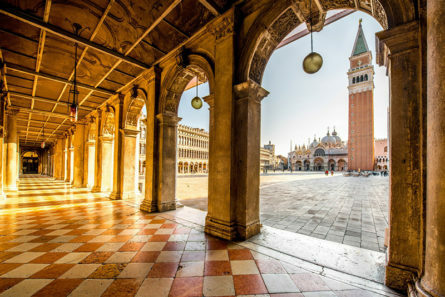 With your guide, you’ll follow a trail of lion sculptures – the symbol of Venice – in and around the San Marco area, then take in all that the city has to offer with an amazing view from the top of a bell tower. Last, and certainly not least, you’ll enjoy a private gondola ride! The city has long been associated with these iconic hand-built wooden boats. Your gondolier will row you through the picturesque “City of Love” while explaining the history of Venice and its daily life.